You need to upload a CSV file to create list in the sport list rankings plugin. If the list isn't uploading it because of 1 or 2 things only! 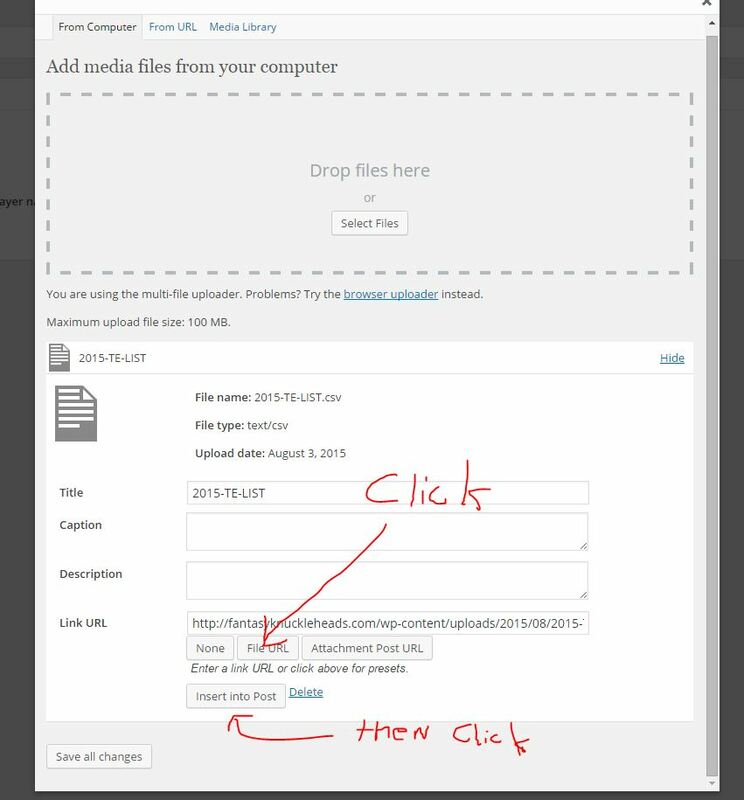 The URL of the uploaded file isn't populated before you click "insert into post"
After you upload the CSV from your computer you must click "file URL" in order to pull in that URL. See image below. Then you can click "insert into post". Do not choose - CSV (Macintosh) or (MS DOS) - those options won't work!